Ludovico Einaudi has played piano on an Arctic glacier, performed at huge pop music festivals, and become the most-streamed classical artist in the world, but the composer and pianist's new album may be his most ambitious project yet. On March 15 2019, he released the first episode of a seven-part new album called Seven Days Walking (Decca Records/Universal), before embarking on a North American tour at the end of May. Einaudi also announces today his signing of a new worldwide contract with Decca Records, under Universal Music Group. After nearly 15 years and six album releases together, Decca – the world's No.1 classical music label – is thrilled to renew its working relationship with Einaudi and be the home to his music globally. 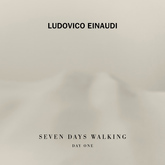 This is the first time Einaudi's music will be released via Universal Music Group in the United States. After the great success of Sarah McKenzie's 2017 disc, Paris in the Rain(Impulse! 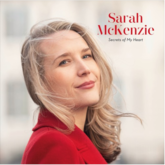 Records), the 31-year-old pianist, singer, and composer returns with the poignant, Secrets of My Heart, reuniting with noted Australian composer, arranger, and events music director, Chong Lim, who produced her first two discs – Don't Tempt Me and Close Your Eyes. Recorded in New York City, Secrets of My Heart exudes cosmopolitan flair with its lineup that includes French bassist Pierre Boussaguet and Brazilian percussionist Rogerio Bocattoalongside guitarist Dan Wilson, drummer Donald Edwards, vibraphonist Warren Wolf,tenor saxophonist Troy Roberts, and cellist Jody Redhage Ferber(all of whom based in the United States). The Comet Is Coming, "an improvisational, intergalactic mash-up" (The Guardian), will release their Impulse! debut, Trust In the Lifeforce Of The Deep Mystery, on March 15. Their first-ever US tour begins in Los Angeles on March 12 and takes them through SXSW, NYC, Philadelphia, DC, Big Ears Festival and finally lands them in Bonnaroo on June 13. The first track from the album, "Summon The Fire," is available today. The Comet Is Coming, who in 2016 were shortlisted for the Mercury Music Prize, is comprised of King Shabaka (Shabaka Hutchings) on saxophone, Danalogue (Dan Leavers) on keys/synth, and Betamax (Max Hallett) on drums. 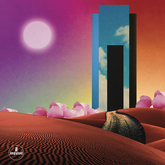 On this album, Trust In The Lifeforce Of The Deep Mystery, the trio envisage a 21st century take on spiritual jazz that is part Alice Coltrane, part Bladerunner. 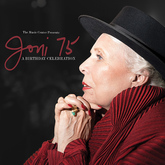 Honoring musical icon Joni Mitchell's legacy and 75th birthday, Decca Records will release The Music Center Presents Joni 75: A Birthday Celebration on March 8, 2019. On Joni's 75th birthday last November, a star-studded roster of musicians gathered together to pay tribute to the legendary singer-songwriter. The evening was recorded and is now subsequently being released. It features performances by Brandi Carlile; Glen Hansard; Emmylou Harris; Norah Jones; Chaka Khan; Diana Krall; Kris Kristofferson; Los Lobos with La Marisoul, Cesar Castro & Xochi Flores; Graham Nash; James Taylor; Seal; Rufus Wainwright; and more. The full track list is below. Recorded at The Music Center's Dorothy Chandler Pavilion in Los Angeles, a stage on which Mitchell twice performed in 1972 and 1974, the album includes performances and interpretations of classic Mitchell songs, including Brandi Carlile & Kris Kristofferson performing "A Case of You," Seal's version of "Both Sides Now", Diana Krall singing "Amelia", Rufus Wainwright's "Blue", Norah Jones' version of "Court And Spark", and many more. The British vocal ensemble VOCES8 is proud to inspire people through music and share the joy of singing. Touring globally, the group performs an extensive repertory both in its a cappella concerts and in collaborations with leading orchestras, conductors and soloists. Versatility and a celebration of diverse musical expression are central to the ensemble's performance and education ethos. 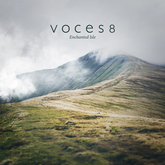 Voces8 releases Enchanted Isle, a new album of music reminiscent of rolling hills, green valleys, rugged mountainsides, and sleepy villages. Enchanted Isle features reimagined pieces originally written for film or television (such as Lord of the Ringsand Game of Thrones), new arrangements of Scottish and Irish melodies, and compositions set to texts by great English poets. On March 8, Sony Classical will release a recording of Esa-Pekka Salonen's cello concerto featuring Yo-Yo Ma and the Los Angeles Philharmonic under Salonen's baton. Co-commissioned for Ma by the Chicago Symphony Orchestra, the New York Philharmonic, the Barbican Centre, and Elbphilharmonie Hamburg, Salonen's cello concerto premiered on March 9, 2017 with Salonen himself conducting the Chicago Symphony Orchestra. Ma and the concerto then came to the New York Philharmonic on March 17, 2017, with then-Music Director Alan Gilbert conducting; Ma and Gilbert continued the premiere season with performances at London's Barbican Centre and Hamburg's Elbphilharmonie. This recording captures the live performance in Los Angeles on February 8, 2018. 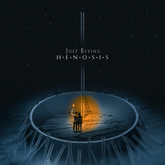 Dutch composer and pianist Joep Beving releases his third album, Henosis today on Deutsche Grammophon – the album marks the final volume in a trilogy of albums that comprises Beving's debut album Solipsism and his sophomore album Prehension. This album also marks the end of an intensely personal four-year spiritual and philosophical exploration for the acclaimed composer/pianist. 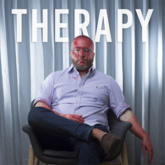 Radical Face the Los Angeles-based project of musician Ben Cooper will release the Therapy EP on April 26 via Bear Machine Records (pre-order). Today Radical Face has shared the official video video for "Doubt" from his forthcoming release. The video premiered today at Flood Magazine and song will be available to share on streaming services this Friday. About the video Ben Cooper says: This is the most technically and physically demanding video I've ever done, as everything was done in-camera. No post was added at all, not even basics like color-correction. The idea was to build an evolving portrait, fading between extreme lighting and background differences while singing. The only problem was, for this idea to work, I couldn't move at all between takes. So we built a chair that could fix the back of my head in place, and I had to concentrate on not moving my shoulders or tilting my chin at all for about 30 to 45 minutes at a time. Really small movements were really noticeable when all the clips overlapped. Sitting that still with such concentration between takes is really difficult, mentally and physically. It's like doing stop-motion, but with lighting, make-up and a live person. And thematically speaking, this was all a visual attempt to get across how, when dealing with depression, you often feel static, or numb, while the world around you seems chaotic. That even people trying to get your attention doesn't really register, it all just feels pretty stuck in time. Radical Face's forthcoming EP follows up the acclaimed The Family Tree series -- The Roots (2011), The Branches (2013), and The Leaves (2016) in which Cooper grasped onto ideas and perceptions that left him hopelessly drained, creatively and emotionally. Speaking with a professional finally enabled him to let go, something he's honored by naming his new effort Therapy. Half-hearted concessions to freedom of expression were not enough to hold Rudolf Nureyev in the Soviet Union. The young dancer, a superstar soloist of the Kirov Ballet, caused an international sensation when he became the first Soviet artist to defect to the West during the Cold War. 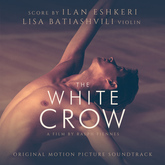 The White Crow, a new film directed by Ralph Fiennes, charts Nureyev's journey from childhood poverty in Siberia and meteoric rise as a principal dancer to the decisive moment of his defection in June 1961 at Le Bourget airport in Paris. The story's personal and political drama surges through Sir David Hare's screenplay and is intensified by the austere beauty of Ilan Eshkeri's original score. 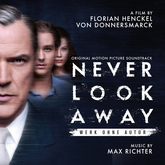 Deutsche Grammophon is set to release the soundtrack album on 22 March 2019 to coincide with the movie's international release. The prestigious Los Angeles Philharmonic, led by Music & Artistic Director Gustavo Dudamel, and Deutsche Grammophon, the world's leading classical music label, are set to extend their long history of making music together. They will now build on a relationship that has already produced benchmark recordings of works by Mahler and John Adams, among others, and seen orchestra and conductor play key roles in the visionary "DG Concerts" initiative, which allowed music-lovers rapid virtual access to live LA Phil concerts. 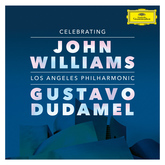 Upcoming releases on Deutsche Grammophon will include a tribute to multi-award-winning film composer John Williams and, as the LA Phil marks its centenary season, a commemorative limited-edition box set entitled LA PHIL – 100 YEARS, which will encompass many of the most significant performances given by the orchestra over the decades. 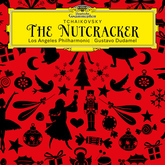 As a prelude to this renewed cooperation, in November 2018 DG released the LA Phil and Dudamel's new reading of the complete score of Tchaikovsky's ballet The Nutcracker to widespread acclaim, with Gramophone hailing the orchestra's "fabulous" playing and The New York Times calling the album a "joyously vibrant recording". 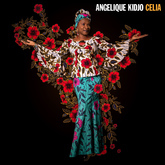 On April 19, Angélique Kidjo will release Celia (Verve/Universal Music France), an album that honors Celia Cruz, widely known as "the Queen of Salsa" and the most popular Latin artist of the 20thcentury. On Celia, Angélique explores the African roots of the Cuban-born Cruz and reimagines selections from Cruz's extraordinary career in surprising new ways, infused with an explosion of sounds and rhythms from Cuba, Africa, the Middle East, America and beyond. The album includes performances by Tony Allen (Fela Kuti) on drums, Meshell Ndegeocello on bass, and British saxophonist Shabaka Hutchins plus his band Sons of Kemet. 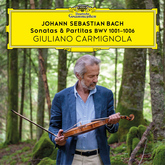 After the releasing the Bach album with EMI in 2005, Decca releases J.S. Bach, Six Cello Suites on the 25th August 2017. Recorded at 19th century's catholic church, Notre Dame de Bon Secours, Paris, this is the most adored classic piece containing all the tracks from the J.S. Bach, Six Cello Suites. In order to contain the natural sounds of the recording from the catholic church, this album specifically minimized the post production including the mixing process. 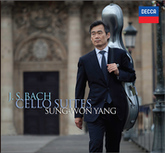 You can experience the maturity and depth of Sung-Won Yang's cello sound of time compared to the recording 13 years ago. Sung-Won Yang's have said that Bach's music provides beyond happiness, yet intellectual and spiritual pieces which makes J.S. Bach, Six Cello Suites holy grail for the cellists. 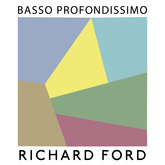 The musical world of Basso Profondissimo springs from the imagination of English bassist and producer Richard Ford. 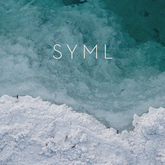 The collection was conceived and played on bass, creating a unique and surprising melding of sounds and adding some rough edges to the genres of jazz, ambient, bossa nova and neoclassical. Sharing some of the same musical landscape as Sigur Rós, Lyle Mays, Bebel Gilberto, ECM Records, and Bill Frisell, Basso Profondissimo employs a cinematic language, often minimal and evocative. There are surprising moments, as when softer passages burst into something rougher and edgier. In the neoclassical-leaning pieces, unexpected elements surface, like ﬂoating transparencies revealed from somewhere back in the scenery. Elsewhere, bubbling rhythms emerge, cracking pieces open into exotic meters. This is not a work concerned with virtuosity (though references to seminal bassists like Jaco Pastorius can be heard in places). This collection is about evoking moods and character, not about ﬂash. 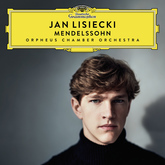 Acclaimed 23-year-old Canadian pianist Jan Lisiecki joins forces with the conductorless Orpheus Chamber Orchestra to release Mendelssohn on Deutsche Grammophon on February 1. 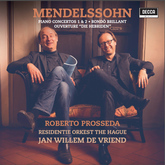 The album explores a pair of early Romantic masterpieces: Mendelssohn's Piano Concertos in G minor and D minor, complemented with a selection of Mendelssohn's most brilliant pieces for solo piano: the Variations sérieuses, the Rondo capriccioso and the "Venetian Boat Song" from the Songs without Words. Felix Mendelssohn was a year younger than Lisiecki is now when he wrote his First Piano Concerto in G minor; the work was dedicated to the seventeen-year-old pianist Delphine von Schauroth. Cast in three movements, it is a lively, spirited work, at times requiring lightning-quick playing. Lisiecki finds it remarkable that the concerto begins as if "in the middle of a piece," and particularly appreciates the buoyancy of this early work – he thinks of it as like "a nature trip" and notes that its "lightness of touch ... reminds [him] very much of playing Mozart." Celebrated pianist George Winston will release his 15th solo piano album, Restless Wind, via Dancing Cat Records/RCA Records on May 3, 2019. By virtue of his brilliance as one of the foremost instrumental composers of our time, Restless Windpresents a stunning journey documenting George Winston's sociological observations in American history. Winston repurposes for the modern listener stunningly relevant works by musical greats such as Sam Cooke, The Doors, Stephen Stills, George & Ira Gershwin, Country Joe McDonald, and others. 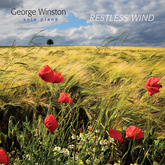 Restless Wind captures Winston's inimitable melodic language where piano textures and tones set the stage for vivid renderings of classic compositions. This album is the world's first ever truly complete collection of these works, curated in association with the world authority on Tchaikovsky. 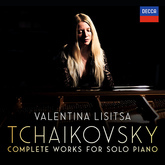 This new recording features over 11 hours of music, which includes: 2 hours of premiere international recordings, such as Tchaikovsky's earliest surviving work "Anastasie-valse" and some of his solo piano transcriptions of his orchestral works, including the Festival Coronation March and the 1812 Overture (complete). 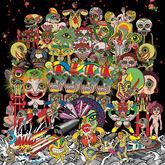 Numerous world-premiere recordings appear throughout the new set. 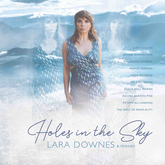 On March 1, 2019, American pianist Lara Downes releases her new album, Holes in the Sky, on Portrait, an imprint of the Sony Music Masterworks label. Holes in the Sky is a genre-fluid collection of music written and performed by today's leading female artists, celebrating the contributions of phenomenal women to the past, present, and future of American music. The music of Holes in the Sky tells the story of what women and girls can contribute to the world when they are given a chance - their dreams can make holes in the sky. Lara collaborates with an extraordinary multi-generational group of female guest artists on this album, including the iconic singer / songwriter Judy Collins, boundary-breaking violinist Rachel Barton Pine, pianist Simone Dinnerstein, fast-rising cellist Ifetayo Ali-Landing, and the urban youth vocal ensemble Musicality. The album is presented in direct support of PLAN International Because I Am A Girl, bolstering the rights and empowerment of girls and young women around the globe; Women's Empowerment in Sacramento, ending homelessness one woman - and one family - at a time; the Downtown Women's Center in Los Angeles, a permanent and supportive housing and healthcare provider for women; Girls on the Run in Spokane, teaching life skills through fun, engaging lessons that celebrate the joy of movement; and the Lower East Side Girls Club, breaking the cycle of poverty by training the next generation of ethical, entrepreneurial, and environmental leaders. Influenced by the laid-back neo-soul of D'Angelo, Ms. Lauryn Hill, and Anderson .paak, and the expressive lyricism of Joni Mitchell, Kendrick Lamar, and Elliot Smith, Lions is the culmination of a childhood of musical discovery. 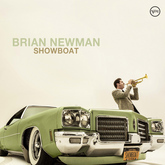 Written, recorded, and co-produced by Luca (vocals/keyboards), backed by seasoned session musicians Jordan Scannella (bass), Sean Dixon (drums), and Josh Dion (synth bass/drums), and joined by a horn section of rising jazz musicians Zaq Davis and James Haddad (both trumpet), all at the helm of prolific producer and engineer David Lawrence Goldman, Lions is an immersive musical calendar, with each song dedicated to a month of the year. Luca, a jazz pianist and singer-songwriter from NYC, is only 18 but musically an old soul. Inspired by the great concept records of the 1970s, he creates a vivid sonic landscape for each season, in which songs live and breathe. From "Spring Again," a vibrant homage to the synth-rich funk of Stevie Wonder, to "Saint Sulpice," a passionate plea for honest love inspired by a choral concert in a church in Paris, the album is a window into a year in Luca's life. 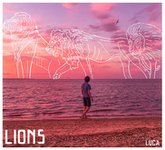 Like the passage of time, Lions is cyclical, beginning where it ends; more importantly, it's music that we can all get down to. If Frederic Chopin, Sergei Rachmaninoff, Clara Schumann or Alma Mahler were composing movie themes in the 21st century, what would their music sound like? 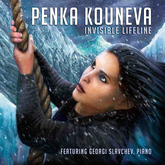 Penka Kouneva's new concept album, Invisible Lifeline, is a collection of six intricate piano fantasias and two string orchestral tracks in the Classical style. Each composition tells a story about what motivates the creative artist. Like the mountain climber on the CD cover, an artist's career is a steep journey. What inspires the artist? What gives them energy to keep pushing forward to create screenplays, stories, music, poetry, dance, video games? Various sources on creativity and inspiration served as a springboard: Game Developers Conference lectures by the visionary designer Jason Vandenberghe on the gamer's motivation; the books Art & Fear by David Bayles & Ted Orland and The Tools by Phil Stutz & Barry Michels. The deepest motivation came from Penka's own journey as a woman, wife, mother, artist and composer for film, TV, video games and Virtual Reality. The CD cover art was inspired by The Rise of the Tomb Raider game and by a line from its trailer ("Only through life's adversities we become who we're meant to be"). This is Penka's first collaboration with the international virtuoso Georgi Slavchev who added his own arrangements to the piano tracks. Invisible Lifeline was also inspired by Penka's continued work with her mentor and manager, Victor Rodriguez. This album is a gift for Victor's fiftieth birthday. 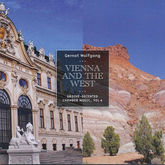 Albany Records just released composer Gernot Wolfgang's chamber music CD VIENNA AND THE WEST. The album is a follow-up to his CD PASSING THROUGH, which received rave reviews and went on to be nominated for a 2016 GRAMMY Award in the category Best Classical Compendium. VIENNA AND THE WEST was recorded from May 15-18, 2018 in Los Angeles by some of the city's finest classical musicians, among them members of the Los Angeles Philharmonic, Los Angeles Chamber Orchestra, Los Angeles Opera Orchestra, first-call studio musicians and several GRAMMY nominees (including one winner). GRAMMY nominated Rich Breen was the engineer for these sessions. The New York Philharmonic's third album with Decca Gold will be released physically and digitally on February 22, 2019. 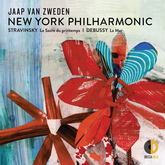 The album features performances by the New York Philharmonic of Stravinsky's Le Sacre du printemps and Debussy's La Mer from Jaap van Zweden's opening weeks (September-October 2018) as Music Director. 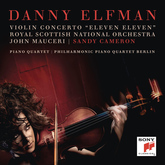 It is now available for pre-order on nyphil.org and through this link. Of the Opening Gala performance of Le Sacre du printempts, The New York Times wrote "Mr. van Zweden drew incisive, blazingly powerful and vehement playing from the Philharmonic." Two weeks later, The Times described the performance of La Mer as "bold, almost cinematic." The Boston Symphony Orchestra and conductor Andris Nelsons continue their critically acclaimed Under Stalin's Shadow series on Deutsche Grammophon with the release of Shostakovich's Symphonies Nos. 6 & 7 together with the composer's Suite from the Incidental Music to King Lear and the Festive Overture on February 22. The new double-disc set follows the 2018 release of a compelling pairing of Shostakovich's Fourth and Eleventh Symphonies, which has been nominated in the Best Orchestral Performance and Best Engineered Album (classical) categories for the 2019 Grammy Awards. 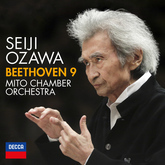 45 years after his debut Philips recording of Beethoven's Ninth, Seiji Ozawa returns to this epic masterpiece with the Mito Chamber Orchestra. This new recording features star players Radek Baborák (horn), Ricardo Morales (clarinet), and Philippe Tondre (oboe) as well as the German baritone Markus Eiche, who leads a quartet of Japanese soloists and the Tokyo Opera Singers in a riveting performance of the famed final movement. 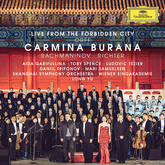 Recorded live to the highest industry standards in front of the magnificent scenery of Beijing's Forbidden City, this unique gala concert celebrates the 120th anniversary of Deutsche Grammophon. 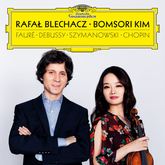 The concert features conductor Long Yu and the Shanghai Symphony Orchestra, both freshly signed as exclusive recording artists to Deutsche Grammophon, and performances from Aida Garifullina, Daniil Trifonov, Mari Samuelsen, and more. Pioneering composer Vangelis' new album has been released on Decca Records and is a soothing collection of solo piano pieces, recorded in his inimitable style. There are 11 new tracks as well as brand new versions of his iconic hits, including his score for Chariots of Fire and the "Love Theme" from Blade Runner. On this album, Vangelis records on a grand piano for the first time. Vangelis is offering fans the chance to hear music from his new album, Nocturne, before its release by taking photos of the moon. 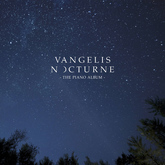 They can upload their pictures via mobile phone to an innovative new website (vangelisnocturne.com), which uses visual recognition technology to unlock each new track according to its corresponding single cover image and lunar phase. Valley of the Boom explores the dot-com era during Silicon Valley's unprecedented tech boom of the 1990s and subsequent bust. The six-part limited series tells the wildly true stories of the epic browser wars and the companies that shaped the internet. 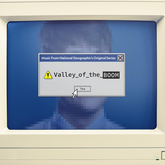 Starring Bradley Whitford, Steve Zahn, Lamorne Morris, John Karna, Dakota Shapiro, Oliver Cooper and John Murphy, Valley of the Boom makes its debut on National Geographic Sunday, January 13. Created, directed and executive produced by Matthew Carnahan, Valley of the Boom is National Geographic's newest American docudrama. 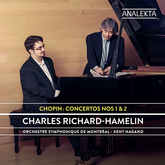 For their first recorded collaboration, pianist Charles Richard-Hamelin and the Orchestre symphonique de Montréal, under the direction of Kent Nagano, are offering the album Chopin: Concertos Nos. 1 & 2. "This project is a real childhood dream come true. I feel extremely privileged to have immortalized this ideal collaboration with Maestro Nagano and to now be part of the rich discography of the OSM" says Charles Richard-Hamelin of this album recorded in concert at the Maison symphonique de Montréal in October 2018. The technological developments predicted by Gould in the mid-1960s have for the most part materialized as he said they would, but the advertisements in the audio press do not suggest that there is a consumer market for them. Nobody is advertising "kits." In the annals of American music, there is no other figure quite like Leonard Bernstein (1918-1990): conductor, composer, pianist, teacher, and media star. "Lenny," as his friends called him, was, from the 1940s onward, a durable part of the American fabric, the last classical artist ever to become a household name in the United States. Though widely celebrated-especially for his popular theater works, of which?West Side Story?is the enduring masterpiece, and for his presence on television as the nation's most renowned musical educator-his fame was not achieved without a great deal of controversy. Michele Tozzetti accomplishes the task brilliantly. He finds the heartfelt tenderness in?Ilana, the Dreamer, brings out the Jewish elements in?Idele, the?Chassidele and animates the dance rhythms of?Yosi, the Jokester? (likely meant as a tribute to cartoonist Yossi Stern). The spirit of Aaron Copland hovers over all of this music; in the?Anniversary?dedicated to him,?For Aaron Copland? (in?Seven Anniversaries, 1943), Tozzetti captures the sound and spirit of the man Bernstein called "my first friend in New York, my master, my idol, my sage, my shrink, my guide, my counselor, my elder brother, [and] my beloved friend." The pianist reveals a delicate sense of sonority along with exquisite dynamic control in?For Paul Bowles, and musters the perfect aggressive edginess to bring to life?For Sergei Koussevitzky. ?He injects youthful vigor into Bernstein's Sonata (1937), a probing work rich in counterpoint, written when the composer was still a student. Impulse! has brought together some of the great progressive jazz musicians of our time to pay tribute to The Beatles'Sgt. Pepper's Lonely Hearts Club Band. A Day In The Life: Impressions of Pepper will be available on vinyl for Record Store Day on November 23, available on CD, digital, and streaming platforms on November 30, with a wide vinyl release on January 18, 2019. A Day In The Life: Impressions of Pepper includes performances and interpretations by artists such as UK saxophonist and Impulse! recording artist Shabaka Hutchings, Impulse! pianist Sullivan Fortner, Verve recording artist Miles Mosley, Onyx Collective, percussionist Antonio Sanchez, guitarist Mary Halvorson, The JuJu Exchange and more. This stellar lineup represents some of the great progressive jazz artists from around the world: Shabaka from the UK Jazz scene, Miles Mosley and Cameron Graves from LA's West Coast Get Down, Onyx Collective from NYC, Makaya McCraven and the JuJu Exchange from Chicago. 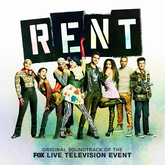 Sony Masterworks Broadway announces today's release of RENT – ORIGINAL SOUNDTRACK OF THE FOX TELEVISION EVENT, featuring music from the Tony Award- and Pulitzer Prize-winning musical RENT, as performed by the star-studded cast of FOX's television event, the soundtrack is produced by Stephen Oremus, executive-produced by Marc Platt and co-produced by Derik Lee. 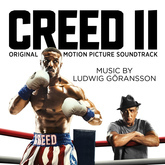 The soundtrack features performances by actress and singer Vanessa Hudgens (Maureen Johnson), singer/songwriter Jordan Fisher (Mark Cohen), recording artist Tinashe (Mimi Marquez), actress Kiersey Clemons (Joanne Jefferson), newcomer and singer/songwriter Brennin Hunt (Roger Davis), R&B/Pop superstar Mario (Benjamin Coffin III), performer Valentina (Angel Dumont Schunard) and Emmy nominee and Tony Award winner Brandon Victor Dixon (Tom Collins). Additionally, Keala Settleperforms the iconic solo from "Seasons of Love." "Every child knows his melodies." You'll normally only hear this about rock stars. But Danny Elfman is a composer of film music. Yet, who doesn't know how to whistle the theme from The Simpsons? Or the driving sound of Beetlejuice devised by Elfman in 1988, which became a hallmark for the comedy-fantasy film genre and for video games. 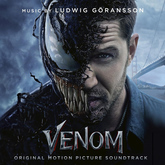 Elfman provided the film score for nearly all movies directed by Tim Burton, invented the cinematic sound for Spider Man and Men in Black and came up with the main theme for Desperate Housewives. Hailing from Los Angeles and already a member of an avant-garde ensemble by the age of 19, Elfman has established himself as a fixture among the greatest film composers alongside Hans Zimmer or John Williams. However, among the soundtrack masters Elfman stands out for the distinctive character he lends his scores. With him, tubas and trombones play at a breakneck speed and violins are put through Paganini-like paces. And every soundtrack has its own unique idea which captivates the imagination of moviegoers over and over again. 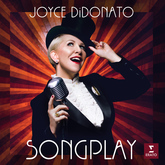 With her album Songplay, Joyce DiDonato takes a new and creative angle on vocal music from the Baroque and Classical periods, as well as from the 20th century. The 14 tracks on Songplay succeed in being simultaneously familiar and unexpected. The album serves up music by Vivaldi in both its customary Baroque purity and swinging to the heady rhythm of a samba. It brings a tango sizzle to an aria by Vivaldi's contemporary Marcello, and it plays with the voice of Bach in George Shearing's ‘Lullaby of Birdland'. "Songplay, as a title, suggests exactly what this album is," says the pianist Craig Terry, who developed the concept for the album along with Joyce DiDonato. 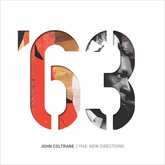 In the brief, bright arc that is the career of John Coltrane, 1963 marks a point of transition between past jazz masterpieces and future work, which would transcend the boundaries of the music itself. That year's recorded output shows movement in many directions: a look back at the past, continued examination of a familiar repertoire, exploration of more traditional formats and a look forward at compositions and approaches that would further extend the reach of jazz. 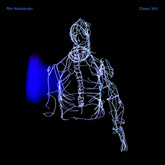 Pêtr Aleksänder's debut album Closer, Still is an indie classical record. The London-based duo of Eliot James and Tom Hobden have each forged successful music careers respectively over the past decade, but this is the first project they can call their own. For James, who has produced albums for countless well-known artists, Pêtr Aleksänder is free from the constraints of what he's used to. "We're not thinking about which track would be good for radio, but more like ‘this piece is really beautiful, it would probably work really well in a film'", he offers. Each album track grew organically from the seed of a melody or chord pattern. "Working in this genre is so much more freeing," says Hobden, who rose to fame during the mid-‘00s UK indie-folk explosion as a founding member of Noah & The Whale. He praises the fluidity of crafting instrumental-only music. "Our pieces naturally segue into each other. You finish a track and follow where the music leads from there." Having blazed her way into public consciousness with her fearlessness on stage as well as on record, Georgian-born pianist Khatia Buniatishvili has become known for her distinctive artistic approach and bold interpretive flair, which combine to make her playing and performances both unmistakable and unmissable. Celebrated by media around the world, she has been described by The Observer as "one of today's most exciting and technically gifted young pianists", while Madame Figaro has called her "the popstar of the classical music world", adding that "with Khatia Buniatishvili, only the repertoire is classical. As for the rest, there's no limit." 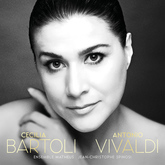 Almost 20 years after her historic Vivaldi album, Cecilia Bartoli turns to the composer once again for her brand new solo recording, Antonio Vivaldi. The album is a glorious collection of Vivaldi arias, performed with French baroque orchestra Ensemble Matheus under Jean-Christophe Spinosi. 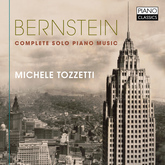 This new release also marks 30 years since Bartoli signed to Decca Classics. Cecilia Bartoli's 1999 recording The Vivaldi Album redefined her status as an artist: for the first time, she was widely appreciated as a rescuer of neglected or forgotten music, in her dual role as meticulous researcher and passionate interpreter. The Vivaldi Album shone a spotlight on the Italian as a composer of vocal works, sparking a revival in the operas of Vivaldi, who had hitherto been primarily known for his concerti. The album sold 700,000 copies in five years and went Gold in six countries. It paved the way for similarly trailblazing releases, including the Italian arias of Christoph Willibald Gluck, the legendary castratos (on the album Sacrificium) and Bartoli's personal 19th-century hero, the mezzo-soprano Maria Malibran. With the release of My Spanish Heart (DUX recordings) pianist Katarzyna Musial builds upon her previous successful recording Come Dance with Me. My Spanish Heart continues to explore the idiom of dance through musical expression with this time focusing on renowned Spanish composers. My Spanish Heart is now available to stream and download on all popular digital service providers and for retail purchase. In this album, Katarzyna Musial revels in the artistic and cultural splendors of the Iberian peninsula. "You don't have to be born in a culture to be enamored with it," she explains. In fact, her love affair with Spain was first sparked during childhood when, at five years old, she simply fell in love with the country upon a visit with her parents. 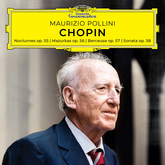 Maurizio Pollini, "the pre-eminent Chopinist of his generation" (Fanfare), continues his revelatory and chronological re-exploration of the Polish master's late works. This album contains the pianist's latest thoughts on Opp. 55–58 (1843/4), including the B minor Sonata and Berceuse. 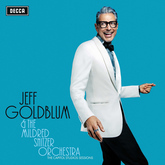 Decca Records is thrilled to reveal details of the forthcoming album from Hollywood icon Jeff Goldblum and his long-time band The Mildred Snitzer Orchestra, entitled The Capitol Studios Sessions. The highly anticipated debut from the jazz pianist will be released on November 9, 2018. Goldblum, who has been playing the piano since he was a child, has performed with his jazz band at venues in Los Angeles and New York City over the past few decades. When he's not filming, the actor hosts a weekly jazz variety show at LA's Rockwell Table and Stage. Frequented by locals and A-listers alike, the show intersperses Goldblum's love of jazz with his passion and skills at improvised comedy. 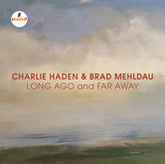 The atmosphere and energy of these shows is captured perfectly on this album, which Jeff credits to producer Larry Klein (Joni Mitchell, Herbie Hancock, Madeleine Peyroux). For the recording, Larry recreated the buzz of The Rockwell at the legendary Capitol Studios. The studio was transformed into a jazz club – food and drink was served to an invited live studio audience of Rockwell regulars, friends and family. 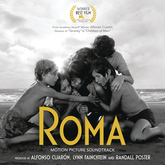 Sony Music, Netflix, Participant Media, and Esperanto Filmoj present the Motion Picture Soundtrack of ROMA, which is available through all digital platforms, on the same day that the film premieres on Netflix. Curated by the director Alfonso Cuarón and the soundtrack producers Lynn Fainchtein and Randall Poster, the soundtrack of ROMA brings us back to the sonic Mexico of the 1970s, when the famous XEW, a reference of Mexican radio, transmitted English pop and rock, while gradually introducing the new Mexican pop, through performers like José José, Juan Gabriel, and Rigo Tovar, musical icons that in the present, have remained as references of Mexican and Latin American music. LADY GAGA on "Don't Let Me Be Misunderstood," a song that was first recorded by Nina Simone in 1964, and subsequently covered by The Animals. Joe Cocker and Elvis Costello among a host of other artists through the decades. Brian explains, "Please Don't let Me Be Misunderstood was on a short list of songs we wanted to record with LG. Our choices of how to arrange this song and every song always stays true to our original sound as a band. While steeped in the tradition of the Great American Songbook and at the same time we are pushing the boundaries of the music we know and love. LG makes that very easy for us because of her great range and vast knowledge of the music. We didn't want to do what was already done and make it our own. This definitely shines on this track and I'm excited for everyone to hear it!" 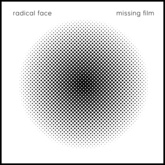 Bear Machine Records is excited to announce the release of "Missing Film" by indie-folk artist Radical Face. Known for his cinematic and emotional music, Ben Cooper wrote and produced this 12 song collection with film makers in mind, focusing on mood and entirely instrumental arrangements -- a direct contrast to his traditional concept and story-driven albums. He has partnered with Noisetrade to give away the album, and is offering the music to students, young directors and content creators to use for free use in all non-commercial media. Ron Davis. Piano player, composer, band leader, Edinburgh Festival Fringe favourite, BBC Radio 3 repeat guest, solo artist, critics choice. Ron and his band of award-winning musicians have kept people listening, loving and coming back for more. Ron's music blends genres and pushes boundaries. It builds on his jazz and classical training, influenced by world music (klezmer, Hungarian, Italian, Brazilian, Latin). He seeks new textures, new forms, new compositions, new formations and new ways of presenting his signature sound. The music is diverse in a characteristically Canadian way. 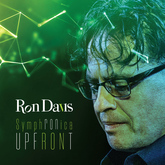 Ron is the founder of SymphRONica, the creative project that combines jazz, world, groove, pop, classical music and a stellar group of Canadian musicians into a mix that can be found nowhere else. In Ron's words "Just as Toronto is a city composed of many people from many places, SymphRONica is composed of a group of musicians from diverse backgrounds, and every one of them plays with intense passion and pleasure together." SymphRONica is genre-defying – no one else is combining a jazz ensemble with full symphony orchestras or string quartets. 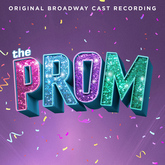 THE PROM – ORIGINAL BROADWAY CAST RECORDING is available on from Sony Masterworks Broadway. 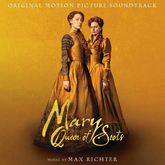 Produced by Scott M. Riesett and Tony Award Nominee Matthew Sklar, with music by Sklar and lyrics by four-time Tony Award Nominee Chad Beguelin, the album is also available to stream and download everywhere now. The Prom cast celebrated the release with two CD signing events – at the annual BroadwayCon fan convention and at Theatre Circle. Giuliano Carmignola has earned his reputation as one of the top interpreters of Baroque music. Following his critically-acclaimed recording of the Bach Concertos, the "prince among Baroque violinists" (Gramophone) releases a new interpretation of Bach's Sonatas and Partitas for solo violin, adding the first period-instrument recording of these works to DG's rich catalog. The pianist Roman Rabinovich is currently recording all of Haydn's piano sonatas First Hand Records, with the 2nd volume set for release later this year. A great champion of Haydn's music, his explorations of the keyboard sonatas have included a 42-sonata cycle at The Bath Festival and partial cycles at Lammermuir Festival, ChamberFest Cleveland and the Israel Conservatory of Music. Rabinovich has earned a reputation for bringing Haydn's often-neglected keyboard works to life, praised by The New York Times for "admirable interpretations, performed with a rich, full-blooded sound, singing lines and witty dexterity" (Vivien Schweitzer, April 2016). This first volume includes two CDs featuring Piano Sonatas Nos. 36, 32, 29, 52 and 47, as well as Divertimento in E-flat. There are few concerts in the world that are awaited with as much excitement as the New Year's Concert from Vienna. Under the direction of Christian Thielemann, the Vienna Philharmonic ushers in the New Year with a concert in the magnificent Golden Hall of the Vienna Musikverein. The concert is relayed to over ninety countries all round the world, reaching an audience of more than fifty million. 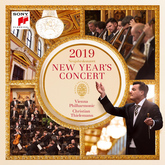 The 2019 New Year's Concert will be conducted for the first time by Christian Thielemann. A native of Berlin, Thielemann has been a regular and welcome guest of the Vienna Philharmonic since 2000, with the result that his first New Year's Concert may be seen as setting an example and providing an appropriate tribute to his previous work with the orchestra. According to the orchestra's chairman, Daniel Froschauer, orchestra and musicians trust each other completely: "The profound musical understanding and trust that have existed from the outset and that have always functioned perfectly have subsequently borne remarkable fruit in the symphonic repertory as well." 2018 marks 250 years since Gioachino Rossini's death in 1868. 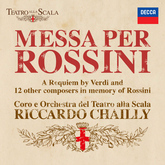 Messa per Rossini was composed in his memory by Verdi and 12 other notable Italian composers. Verdi himself composed the concluding Libera me, which he later used in his own Messa da Requiem. Conducted by Riccardo Chailly, this rare performance represents the work's triumphant return to the spiritual home of Verdi and Rossini: the Teatro alla Scala in Milan. Roberto Prosseda continues his Mendelssohn project on the orchestral front with this ambitious recording of Piano Concerts No. 1 and 2 and of the Rondò Brillant op.29. He is accompanied by the Residentie Orkest The Hague, a historical Dutch orchestra founded in 1904 that in the course of its activity has collaborated with great composers (Richard Strauss, Igor Stravinsky, Max Reger, Maurice Ravel, Paul Hindemith) and famous conductors (Arturo Toscanini , Bruno Walter, Leonard Bernstein, Hans Knappertsbusch). This recording was made under the baton of Jan Willem de Vriend, principal conductor of the orchestra, and also includes a superb reading of the Overture "The Hebrides" to complete the CD. 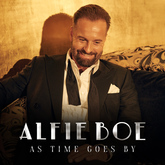 Returning to the solo spotlight after two successful albums with Michael Ball, Alfie Boe's As Time Goes By pays homage to the golden era of music from the ‘30s and ‘40s. The new album journeys through the defining songs of the era - from the full force of "Sing Sing Sing" to the slow and smooth "The Way You Look Tonight" and "As Time Goes By." 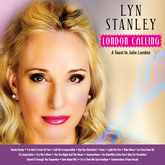 In this stunning new collection - London Calling…A Toast To Julie London,listeners will discover a side of singer Lyn Stanley that they haven't heard before. The 17 tunes on this recording explore phases of romance from first glance in ‘Blue Moon' to a missed chance in Cry Me a River.' Most of the wide-ranging material presented here was originally recorded by singer/actress Julie London, along with a couple of offerings that Stanley feels would have been perfect for the sultry songstress, such as "It's Impossible," and "I Heard It Through the Grapevine." In order to appease the somewhat provincial tastes of King Louis XV, composer Jean-Philippe Rameau and his librettist Voltaire altered the original version of Le Temple de la Gloire, and for centuries it was lost. The manuscript was discovered-at the University of California, Berkeley's Jean Hargrove Music Library and was brought to the attention of conductor Nicholas McGegan. For decades, maestro McGegan dreamed of reviving the original work-a dream realized in April 2017 through a partnership between Philharmonia Baroque Orchestra, Cal Performances at UC Berkeley, Centre de musique de Versailles in France and New York Baroque Dance Company. From Hungary to Taiwan is a milestone album from the award-winning Formosa Quartet. Released by Bridge Records, the album pairs three imaginative new works with Béla Bartók's towering Fourth String Quartet, a nod to the group's Taiwanese heritage and a celebration of "folk", in every sense of the word. The program juxtaposes two pairs: Hungarian folk music in two representations, and Taiwanese folk music in two representations. Formosa Quartet decided to commission composers Dana Wilson, Lei Liang, and Wei-Chieh Lin to create this fascinating view of cultural identity. 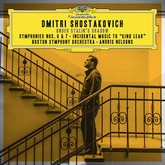 Dmitri Shostakovich's long-lost Impromptu for Viola and Piano, Op. 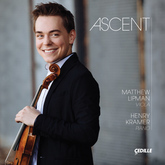 33, recently unearthed in the Moscow State Archives, receives its world-premiere recording on Matthew Lipman's Ascent, the acclaimed young American violist's solo debut album, featuring, in the artist's words, "music enraptured by flights of fantasy." Recipient of a 2015 Avery Fisher Career Grant, Lipman has created an album of uplifting and spiritually transcendent works for viola and piano, dedicated to his late mother. The scores of composer Michael Fine are born from his improvisations on the piano and are nourished by his travels and his readings: his music derives from a poetic imagination and carries therefore lots of visual evocations. From Korea and its palaces (At the Gate) to Scotland and the writer Alexander McCall Smith (Brother Fox), the world and its landscapes pass by over the seasons (Seasonal Rites) as you listen to it. A sound immersion all the more successful due to the fact that Michael Fine is also a Grammy winning producer for his expertise in sound recording. 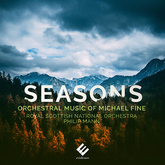 What's more, as himself a performer, Michael Fine has written music for musicians. This recording is the faithful testimony of a collective adventure where musicians share their pleasure to play and then offer it to the public. In December 2017, with two sold-out concerts at the Maison symphonique de Montréal, the tour celebrating Angèle Dubeau & La Pietà's 20th anniversary came to an end. This tour of thirty-three concerts was, for the violinist, an opportunity to thank her Quebec fans for the support they had given her throughout her career. It was on that tour, during the concerts at Palais Montcalm in Quebec City, that Ovation was recorded. This new album features a retrospective program composed of works by the likes of Einaudi, Richter, Glass, Enescu and Saint-Saens and which have been landmarks of the first 20 years of La Pietà's career. The album also showcases a violinist at the top of her form and a concert where magic and perfection are in symbiosis. 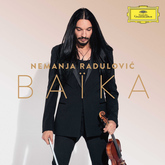 Following his recording journeys into the traditions of Eastern Europe (Journey East), Russia (Tchaikovsky), and the Baroque (Bach), violinist Radulović now turns to the East with his new album, Baïka, the Serbian word for "fairytale." 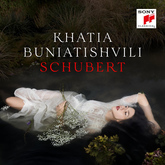 The album features Rimsky-Korsakov's Scheherazade, newly arranged by Serbian composer Aleksandar Sedlar, as well as Khachaturian‘s Violin Concerto and Trio for clarinet, violin, and piano, performed with clarinetist Andreas Ottensamer and pianist Laure Favre-Kahn. Following his critically acclaimed recording of piano works by Philip Glass, Icelandic pianist Víkingur Ólafsson will release his second concept album, Bach, on Deutsche Grammophon on September 7, 2018 (CD released 9/14). The album is available for pre-order everywheretoday. 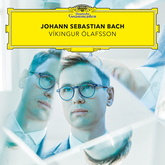 Renowned for his innovative musical projects, Ólafsson offers listeners a very personal vision of Bach's intricate keyboard music on his new recording – artfully weaving Bach's original works together with transcriptions by Busoni, Kempff, Ziloti, Rachmaninov and Ólafsson himself. Ólafsson will also perform some of the repertoire from the album live at venues including London's LSO St Luke's, the Louisiana Museum of Modern Art in Humlebæk (Denmark), Hamburg's Laeiszhalle, and the Berlin Philharmonie during the 2018-19 season. 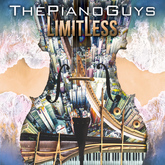 Utah sensation The Piano Guys release an all-new album Limitless (Portrait/Sony Music Masterworks) on November 9. On Limitless, The Piano Guys showcase their talent for reinventing the music of any genre, from contemporary pop and rock hits to classical compositions, Hollywood scores and even never-before-heard originals. Also, catch them on their U.S. tour, which kicks off in their home state of Utah on November 7 and continues through early 2019. 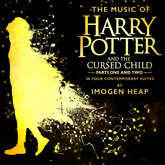 Written, composed, performed and recorded by Grammy and Ivor Novello Award-winner Imogen Heap, The Music of Harry Potter and the Cursed Child is presented as four contemporary musical suites, each showcasing one of the play's theatrical acts. This unique new album format from Imogen Heap chronologically features the music heard in the stage production, further reworked to transport listeners on a sonic journey through the world of Harry Potter and the Cursed Child. 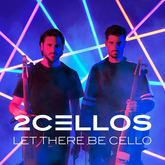 The Croatian duo of Luka Sulic and Stjepan Hauser, better known as 2CELLOS, today release their much-anticipated new album, Let There Be Cello, via Sony Music Masterworks – available everywhere now. A follow-up to the 2017 release of Score, Let There Be Cello finds the pair exploring a diverse catalogue with their signature boundary-breaking playing style. Known for their electric live performances, 2CELLOS now gear up to take their newest album on the road for their first-ever U.S. arena tour, which is set to kick off February 2019. Many people picture grim-faced Beethoven, shaking his fist at the heavens and persisting through deafness and illness to compose works of transcendent beauty, but he also stirs emotions that feel both deeply personal and ubiquitous. There are moments of red-cheeked optimism, quiet introspection, playful dances, heroic declarations, a restless search for the sublime. And while Beethoven is perhaps most famous for his sonatas and symphonies, he composed an opera, chamber works, songs, sacred music, incidental music for the stage, even dances. 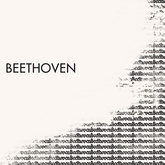 Taken together, these selections paint a rich portrait of Beethoven's humanity, which has attracted artists of the highest caliber such as Leonard Bernstein, Carlos Kleiber, Janine Jansen, and Martha Argerich. Some of these recordings are legendary, but all of them jump out with their undeniable virtuosity and brilliance. This collection may remind you of that iconic portrait of immortal Genius suffering for Art, but it will also reacquaint you with an artist from another time who somehow captured so much of the human experience. 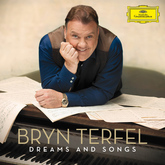 After five years, bass-baritone Bryn Terfel returns with the new studio album, Dreams and Songs. Acclaimed worldwide for tackling the biggest opera roles, Terfel's new album shows his lighter side with popular concert pieces recorded in brand new orchestral versions of traditional Welsh songs, musical hits, and beloved encores. Among the pieces on his new album are "If I Were A Rich Man" from Fiddler on the Roof, Welsh folk song "Ar Lan y Môr," and Irish ballad "The Fields of Athenry." They were the greatest pianist-composers of their time, almost exact contemporaries and friends, although the warmth was more on the side of the generous-hearted Franz Liszt (1811-86) than the sickly Frédéric Chopin (1810-49). Having met soon after Chopin arrived in Paris in 1831, they made music together in public several times. They were a study in contrasts, Liszt at the height of his extrovert, virtuoso period, Chopin introverted, delicate, almost a salon pianist. Musically they had arrived from different directions. The two men had one trait in common: they composed hardly any chamber music, so on; Cantique d'amour, Sung-Won Yang chased down some arrangements to flesh out his regular partner, Italian pianist Enrico Pace. Opening with the famous aria "Ombra mai fu," Serse remains one of Handel's most popular operas. 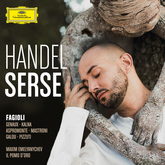 Starring Franco Fagioli in the title role, this is the first recording of the opera with a countertenor as the eponymous king, originally sung by a soprano castrato. Fagioli is supported by Vivaca Genaux as Arsamene and Inga Kalna as Romilda, with Il Pomo d'Oro Orchestra conducted by Maxim Emelyanychev and the Cantica Symphonia choir. Two years after the release of his highly successful album Dolce Vita, Jonas Kaufmann reaffirmed his love affair with Italian music this summer with a special concert at the Waldbühne – Berlin's renowned stage-beneath-the-stars. In what can be seen as a wondrous zenith of his dedication to Italy and her music, the concert has become one of this year's biggest classical music events. Sony Classical is proud to announce the release of the magical concert on DVD and Blu-ray on October 19, with the CD and digital formats available October 5. 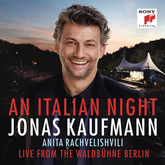 "An Italian Night – Live from the Waldbühne Berlin" features popular songs and canzone as well as passionate Italian opera arias and duets from Cavalleria rusticana, where Georgian mezzo-soprano Anita Rachvelishvili joined Jonas as a charming guest-artist and duet partner. Both were supported by Jochen Rieder conducting the Rundfunk-Sinfonieorchester Berlin. 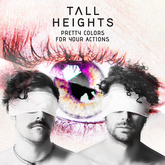 Rising duo Tall Heights release their much-anticipated sophomore album Pretty Colors For Your Actions today via Sony Music Masterworks. Pretty Colors For Your Actions heralds a new chapter for Tall Heights, who made their major label debut with 2016's Neptune and have since racked up 140 million streams to date as well as critical acclaim from the likes of NPR, Wall Street Journal, Paste, Stereogum and more. The 11-track collection is grounded by the duo's signature melodies, layered and shaped with live instrumentation and contemporary production to create a sonic universe all their own. 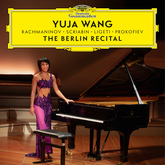 Internationally-acclaimed pianist, Yuja Wang will release her new album of solo works, The Berlin Recital, on November 23 on Deutsche Grammophonon - a survey of landmark works by the late-romantic era and 20th century composers: Rachmaninov, Scriabin, Ligeti and Prokofiev. In anticipation of the full recital release, a digital-only EP of Encores is available today. The album was recorded live in Berlin, as part of a North-American and European tour. Yuja Wang's philosophy of music is both simple and profoundly complex. "I want to relate all life to music," she recently told veteran British critic Fiona Maddocks. The Beijing-born pianist's latest album captures the white heat of solo works by Rachmaninov, Prokofiev, Scriabin and Ligeti, a trio of renowned Russians paired with one of the late 20th century's greatest composers. The Berlin Recital was recorded live this summer at the Berlin Philharmonie's Kammermusiksaal during Yuja's extensive solo tour of North America and Europe. The Yellow Label also recorded her sublime series of Berlin encore pieces to form a separate EP, which spans everything from the riffs and roulades of Nikolai Kapustin's jazz-tinged Toccata to Earl Wild's sonorous transcription of the Pas de Quatre from Tchaikovsky's Swan Lake. 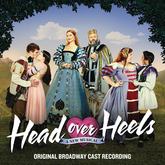 The producers of Head Over Heels, the new musical comedy featuring the iconic songs of The Go-Go's – the most successful female rock band of all time, and Sony Masterworks Broadway today release The Original Broadway Cast Recording. Included in the 20-track cast album is a true bonus from The Go-Go's themselves: an exclusive new recording of one of the band's most popular songs, "This Town," which marks their first studio recording in more than 17 years since their album God Bless The Go-Go's (2000). The track, produced by Scott Sigman, was recorded exclusively for the Broadway collection by members Charlotte Caffey, Belinda Carlisle, Gina Schock, Kathy Valentine and Jane Wiedlin. 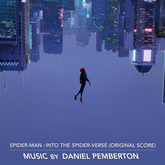 The album is produced by Scott M. Riesett and Tom Kitt with co-producers Louise Gund and Christine Russell, engineered by Isaiah Abolin and Lawrence Manchester, and was recorded at the DiMenna Center in New York City on August 26-28. A National Medal of Arts recipient and former composer-in-residence of the Los Angeles Master Chorale (1994–2001), American choral composer Morten Lauridsen has gained recognition for his choral music the world over. 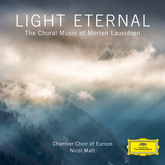 On his 75th birthday this year, the Chamber Choir of Europe recorded Lauridsen's landmark compositions, including two world premiere recordings, in close collaboration with the composer himself. 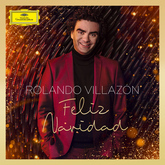 Rolando Villazón follows the footsteps of leading tenors Luciano Pavarotti and Plácido Domingo by releasing his first Christmas album on Deutsche Grammophon, Feliz Navidad. The album features seasonal classics such as "What Child Is This" and "Stille Nacht" as well as the modern favorites "Feliz Navidad" and "Have Yourself A Merry Little Christmas." Announcing the release of Cor Christmas, an instrumental collection of sacred and secular carols featuring the soulful sound of the English horn, performed by Saint Louis Symphony Solo English horn player Cally Banham. 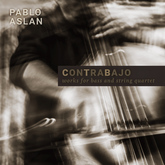 Featured on the album are Banham's own ensemble Cortango, Adam Maness Trio, and Trombones of the Saint Louis Symphony. Cor Christmas presents a varied journey through popular Christmas tunes, presented in a fusion of classical and jazz styles and reimagined in new and sonorous arrangements! Performed by London Music Works. From an innovative and vibrant soundtrack label comes an electrifying Christmas offering; bringing the sound of Hollywood blockbuster to well loved seasonal favorites. 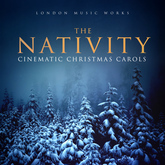 The Nativity includes traditional Christmas Carols arranged in a dramatic, orchestral and cinematic style, utilizing both electronic arrangements and a full size classical orchestra. Introducing a potent mix of film, TV & trailer soundtrack composers and arrangers, with this album, London Music Works gives the best-loved Christmas songs a sonic makeover. The Bavarian Radio Choir is delighted to be nominated for the Grammy Awards 2019 in the category "Best Choral Performance". The BR Choir has been selected for its CD recording of Sergei Rachmaninov's masterpiece "The Bells" with the BR Symphony Orchestra.? 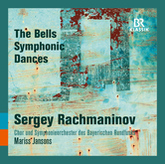 The recording was made during a concert in January 2016 in the Herkulessaal of the Munich Residenz under the baton of chief conductor Mariss Jansons. The choir was conducted by Peter Dijkstra, artistic director of the BR Choir. The CD has been released by the label BR KLASSIK. This is the second time the BR Choir has been nominated for the Grammy Awards: in 2015 for the recording of Beethoven's "Missa Solemnis" for choir and orchestra of the BR under the direction of Bernhard Haitink and Peter Dijkstra. The Christmas ballet by Tchaikovsky that needs no introduction is brought to life in its entirety by Gustavo Dudamel and the Los Angeles Philharmonic. Featuring beloved pieces such as the "Waltz of the Snowflakes" and the "Dance of the Sugar-Plum Fairy," this new recording of The Nutcracker is the first in Deutsche Grammophon's new partnership with the Los Angeles Philharmonic and Dudamel. 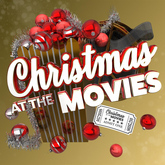 ‘Christmas at the Movies' is a dazzling new album of movie music that beautifully captures the Winter holiday spirit. This stunning collection features some of the greatest Christmas movie themes of our time, written by some of the world's leading composers for the big screen and is guaranteed to enhance the holiday season for everyone. Featured movie themes span almost 80 years of big screen magic and offer something special for all the family, from timeless classics such as 'The Wizard of Oz', 'White Christmas' and 'Home Alone' through to unmissable contemporary Christmas blockbusters 'Frozen' and 'Elf'. Newly recorded arrangements by the renowned Czech Philharmonic Orchestra under Robert Ziegler provide here the perfect festive soundtrack for your essential holiday preparations - decorating the tree, baking mince pies, wrapping the presents and more! Relive treasured memories of Christmas movies around the fire or treat someone special with this perfect present - Christmas at the Movies – it's the most wonderful time of the year! 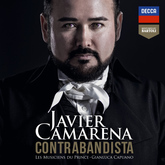 Contrabandista, the Decca debut of MET favorite Javier Camarena, delves deep into the life and music of legendary Spanish tenor Manuel García, including three world premiere recordings by García. The album also features favorites by Rossini and Zingarelli, including a stunning duet from Rossini's Armida with Cecilia Bartoli. This album is the first release in the "Mentored by Bartoli" series, a partnership between Decca Classics and the Cecilia Bartoli - Music Foundation. Francesca Dego releases a world premiere recording of three works by Italian composer Mario Castelnuovo-Tedesco, brought to light by Dego and the composer's granddaughter from his unpublished and unperformed works at the Library of Congress. 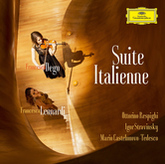 The album features Castelnuovo-Tedesco's Ballade, written for and premiered by Tossy Spivakovsky in 1940, and the composer's violin paraphrases of operas by Rossini and Verdi as well as Stravinsky's Suite Italienne and Respighi's Violin Sonata in B minor. 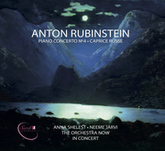 This CD, recorded live at Rose Theater at Jazz at Lincoln Center in New York, is the first release in the series of complete works for piano and orchestra by Anton Rubinstein featuring conductor Neeme Järvi and pianist Anna Shelest. Piano Concerto No.4, one of Rubinstein's best known works, is accompanied by Caprice Russe, a rarely performed one-movement gem. Tony Bennett and Diana Krall celebrate their shared love of the music of George and Ira Gershwin on their new collaborative album, LOVE IS HERE TO STAY, set for a September 14th release on Verve Records/Columbia Records. Tony Bennett, who celebrates his 92nd birthday today, has been friends with Diana Krall for over 20 years. The two toured together in 2000 and recorded duets for two of Bennett's albums ("Duets" and "Playin' With My Friends"), but this marks their first full album project together. LOVE IS HERE TO STAY is out just in time for the 120th Anniversary of George Gershwin's birthday which takes place on September 26th. Both multi-Grammy winning and platinum-selling artists, Bennett is the only artist at the ages of 85 and 88, respectively, to have an album debut at #1 on the Billboard Top 200 and Krall is the only jazz artist to have eight albums debut at #1 on Billboard's Jazz Albums chart. Danny Bennett, President and CEO of Verve Label Group commented, "When Tony Bennett and Diana Krall sing the music of the Gershwins, it's truly the consummate artistic pairing of singers and songwriting. It's one of those recordings that when you listen to it, you recognize instantly that it had to happen - it was just a matter of getting these two extraordinary performers into a studio and putting the Gershwin songbook in front of them." 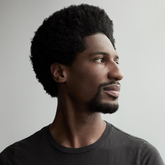 Jon Batiste is an internationally acclaimed musician, bandleader and composer. As an educator and television personality, he spreads his unbridled optimism coupled with a profound understanding of the arts. Born into a long lineage of New Orleans musicians, Batiste is a graduate of The Juilliard School with a master's degree. After graduating, he toured globally with his band Stay Human and currently appears nightly on national television as the bandleader and musical director for "The Late Show with Stephen Colbert." Jon is a Forbes 30 under 30 honoree, Musical Director for The Atlantic and Creative Director of the National Jazz Museum in Harlem. He balances a demanding performance schedule with speaking engagements, curating events, occasional acting and producing opportunities, all while relentlessly composing new music. Jon is also a coveted brand ambassador–featured in campaigns for Chase, Apple, Lincoln Motor Company, and numerous fashion brands including Bonobos, Ralph Lauren, Barney's and Nordstrom. He has worked with famed photographer Annie Leibowitz, among many others, and his personal style has been profiled in various fashion publications including GQ, Vanity Fair and Vogue. Jon's mission is to share his faith, hope and love with the world around him. 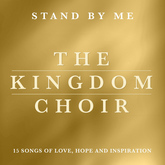 Following their show-stopping performance of "Stand By Me" at the Royal Wedding on May 19, 2018, The Kingdom Choir release their debut album Stand By Me. Available now, the album features the choir's much-loved version of "Stand By Me" that they performed at this year's Royal Wedding of Prince Harry and Meghan Markle. The choir's diverse album track listing also includes captivating renditions of Beyoncé's "Halo," John Legend's "All Of Me" as well as Stormzy's "Blinded By Your Grace Part 2". Also on the album is a brand new, emotionally powerful ballad written by members of The Kingdom Choir called "Chases". Cellist and composer Peter Gregson is a man obsessed with sonic frontiers: "The job of the musician is to create stuff that's relevant to his time," he says. "You can get it wrong if all you do is stubbornly stick to your guns. I want to be able to adapt to changing landscapes." 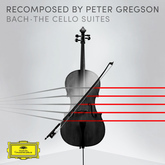 In Bach Recomposed, Gregson translates a landmark of the cello repertoire into his own unique musical language. The album is the latest addition to DG's lauded series that includes Max Richter's Vivaldi Recomposed. 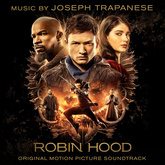 Sony Music and global content leader Lionsgate announce the November 16th release of ROBIN HOOD - ORIGINAL MOTION PICTURE SOUNDTRACK with music by Joseph Trapanese (The Greatest Showman, Tron: Legacy, Straight Outta Compton). Directed by Otto Bathurst, Robin Hood will make its theatrical debut Friday, November 21, 2018 via Lionsgate's Summit Entertainment label. Joseph Trapanese commented, "Lionsgate tasked me with creating a fresh, contemporary score for a new generation's Robin Hood, and I'm incredibly excited to share it with you. Director Otto Bathurst invited me to bring synthetic sound, energetic percussion, and aggressive orchestration to his modern re-telling of this timeless story, the result of which is a classic tale told like none other." When Leonard Bernstein celebrated his 70th birthday, Krystian Zimerman was asked to perform Symphony No. 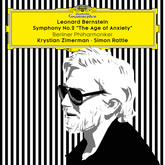 2 (The Age of Anxiety) with Bernstein for the first time. Full of praise for Zimerman's performance, Bernstein asked the pianist to perform the piece again when the composer turned 100. To fulfill that promise, Zimerman releases a new recording of Bernstein's Symphony No. 2, performed with the Berlin Philharmonic and conducted by Simon Rattle in his last appearance as its chief conductor. 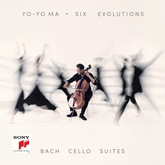 YO-YO MA releases Six Evolutions – Bach: Cello Suites today. 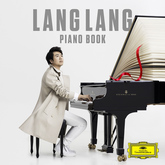 The new album from Sony Classical marks Ma's third and final recording of the works and celebrates his nearly six-decade-long relationship with the music. Six Evolutions – Bach: Cello Suites is available to stream and download now on all digital service providers and for purchase as a 3-LP 180-gram vinyl set. As Ma's "constant musical companions" for almost 60 years, Bach's Cello Suites first entered the cellist's life at the age of four, when he learned the first measure of the Prélude to Suite No. 1 under his father's instruction. His Grammy Award-winning first complete recording of the suites was made in his late twenties. His second, Inspired by Bach, was released in his early forties and recorded alongside a multi-genre, collaborative exploration of the works. Both previous recordings of the Cello Suites, also on Sony Classical, became landmarks in classical discography, as well as milestones in Ma's musical life. Since then these works have been a through line in his life, guiding him through times of happiness as well as hardship, prompting Ma to ask, "What power does this music possess that even today, after three hundred years, it continues to help us navigate through troubled times?"